Over the last few years, internet streaming has drastically become popular which is why more consumers today already prefer watching content online. TV companies are definitely enjoying this newest trend because it’s one way of getting additional subscriptions from the in-demand digital streaming or movie rental services. Digital streaming is a big market in the most developed countries in the world. One of the most popular video-on-demand services today is from the UK, the BBC iPlayer. The UK-based internet streaming service is not only popular within the British regions, but it has also reached a target market overseas. Is BBC iPlayer available everywhere? Originally, BBC iPlayer was only made available to users in the UK. In 2011, however, BBC decided to offer an international version of its iPlayer internet streaming service to users abroad. Unfortunately, this BBC project was short-lived. The iPlayer global service was shut down in May of this year. This now left international consumers across the globe wondering how they can again watch BBC iPlayer content from their respective countries of residences. 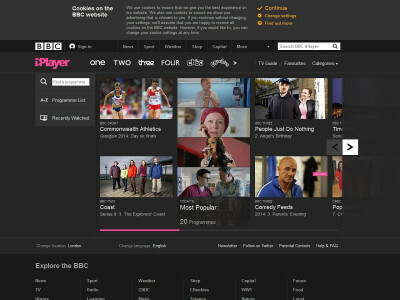 The Global iPlayer version was launched in Western Europe, Canada and Australia in 2011. The shut off came after TV regulatory board in the UK sited certain licensing issues of all contents being produced in the UK which BBC content are bounded by. The end of BBC’s global iPlayer has to do with TV licensing that UK subscribers are paying, and that international consumers aren’t. Those who are fond of watching UK content such as Doctor Who, Top Gear and The Voice UK via the BBC iPlayer platform can no longer access the video content outside of the UK. Several other top-notch BBC iPlayer content have been blocked from the international audience too. BBC iPlayer’s access restrictions are possible because BBC can see whose accessing from the UK and which ones are outside the country. For every website we attempt to access, we are initially requesting access from the site’s servers. Whenever we try accessing BBC iPlayer’s video library outside of the regional operations, what’s happening is that we are actually sending our IP address which is the identifier of our actual whereabouts. So, if you are trying to watch a BBC iPlayer content in the US, the system will detect that you have a foreign IP address, thus restricting you the viewing privileges. In order to access BBC iPlayer’s full features, you will need at least a UK virtual address. Different tools offer anonymizing services, which is basically a way of altering your actual IP address. If you use such tools, then you can trick BBC into thinking that you are a legit UK user, living in the UK, and is ‘currently’ in the UK even if you’re actually not. The most popular and most reliable tools today that can unblock BBC iPlayer and other streaming media are a VPN and Smart DNS services. Both have their pros and cons, but one thing is for certain, a VPN and Smart DNS service are designed to unblock blocked content anywhere in the world. If you are outside of the UK and you would want to tune in to your favourite BBC TV shows, you could make use of a reliable VPN service to bypass the BBC iPlayer geographic restriction. Subscribe to a VPN service provider that offers fast and stable connections. Since you will be watching HD videos on BBC iPlayer, you will want a VPN service that won’t fail to provide speedy connections. We recommend that you purchase a VPN service that has servers in the UK and a dedicated VPN client app too. If the provider has the necessary VPN apps for both PC-based machines and mobile devices, then it would be much better. Simply install the VPN software on your devices and you will be able to access BBC iPlayer even while you’re at the office, at the bus stop or just wherever you go. Choose a reliable VPN service and purchase a VPN plan. Install the necessary VPN software provided by the VPN provider. After setting up the VPN, open the client app (you may need to input your login credentials). Connect to BBC iPlayer and enjoy all the contents you desire. Generally, VPN services are a lot more expensive than Smart DNS services. So, if you only have a budget for a Smart DNS, you’re still in luck since Smart DNS are specifically designed to unblock content from streaming media or websites. Unlike VPN, Smart DNS doesn’t offer encryption which is why Smart DNS’ provide better speeds than VPNs. If you’re watching HD videos, you’ll get better speed with Smart DNS. Here’s how to make Smart DNS work in watching BBC iPlayer content outside of the UK. Choice a Smart DNS service to unblock BBC iPlayer. *Select a VPN provider offering both VPN and Smart DNS services. Find your computer’s Network or Internet settings. Configure your LAN connection by altering the Internet Protocol Version 4 (TCP/IPv4) properties. You will need to input the necessary Primary and Secondary DNS server IP addresses. Check with your Smart DNS provider the credentials. You’re all set! You can now access BBC iPlayer even when you’re outside the UK. Smart DNS will work on devices that can play streaming videos. You will need to setup the DNS settings on your router in order to use the Smart DNS proxy on all your internet-enabled devices. You will never miss an episode of your favourite BBC shows anymore! Get a reliable VPN or Smart DNS service that can provide fast and unrestricted access to BBC iPlayer or any other streaming media for that matter. If you’re a UK expat living in the US or elsewhere, a VPN or Smart DNS service will allow you to watch the TV shows back at home without dealing with the geographic restrictions.